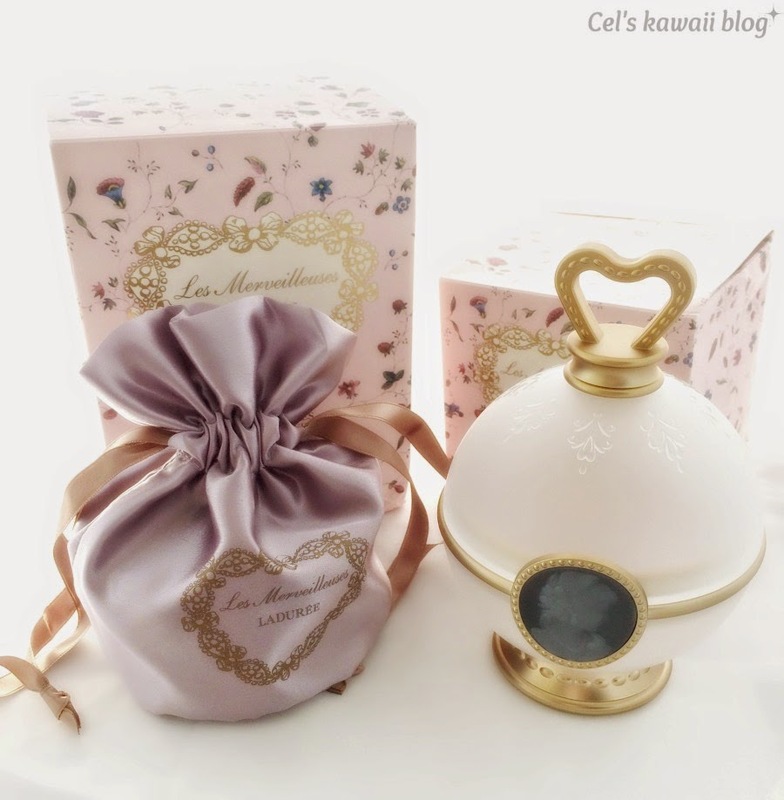 If you've been following me for a while, you must know by now that I am a fan of Ladurée and also cute cosmetics in elegant packaging. So a few years back I was very excited to discover that my favourite patisserie had somehow expanded to the world of beauty. 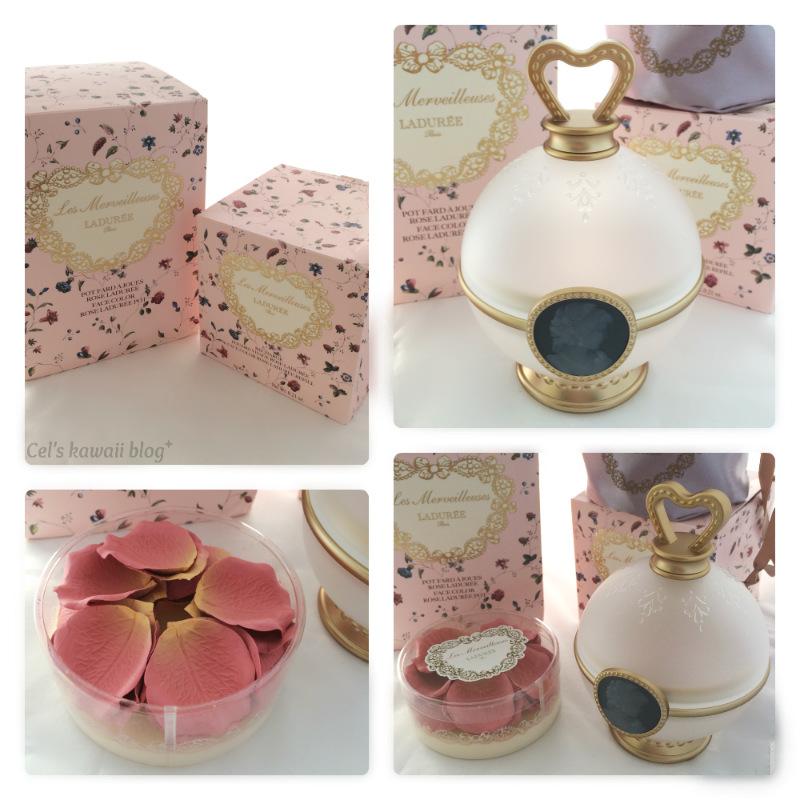 Recently a dear friend of mine granted my wish to try them in person and sent me the infamous Ladurée Face Color Rose. When I opened the package I was impressed. I am a huge fan of Asian cosmetics (these cosmetics first appeared in Japan) not only for the quality but also for the impressive packaging. Even the boxes are fabulous. The case and the face colour come in two different boxes and there are three blush colour variations to choose from. I got 01 as it is the one that goes best with my skin tone. The case is really elegant, it has a cameo in the front and elegant engravings on the top and bottom. 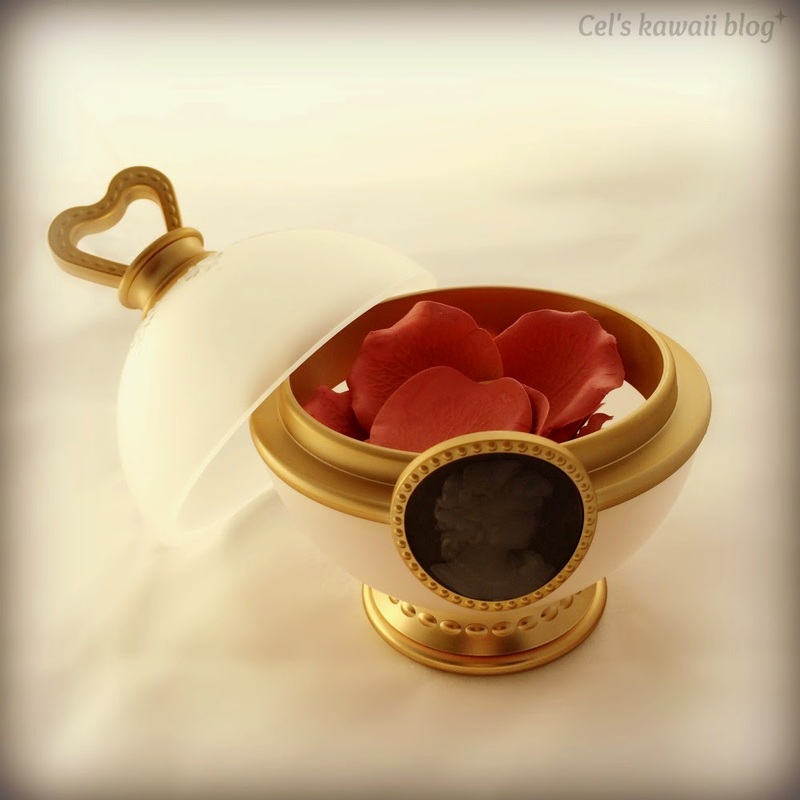 The blush is shaped as rose petals and gives off a beautiful rose scent. 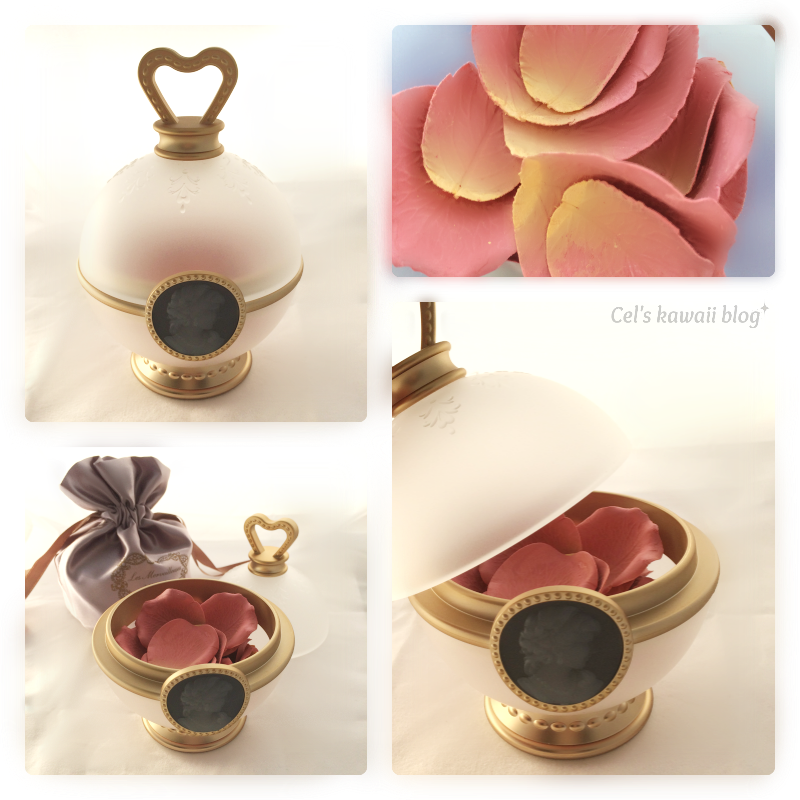 To use it you just need to gently swirl your blush brush on the petals and then apply on your face. Hello! Good to see you again! Hope you are well? How is your little girl getting on? Την πρώτη φορά που είδα τη φωτογραφία, μου πήρε αρκετή ώρα να καταλάβω τι ακριβώς είναι τα πέταλα. Είναι απλά πανέμορφο και νομίζω πως και εγώ δε θα μπορούσα να το χρησιμοποιήσω παρά μόνο σε εξαιρετικά ιδιαίτερες περιπτώσεις. Too cute! I wouldn't want to use much either because of how pretty those rose petals are, haha.